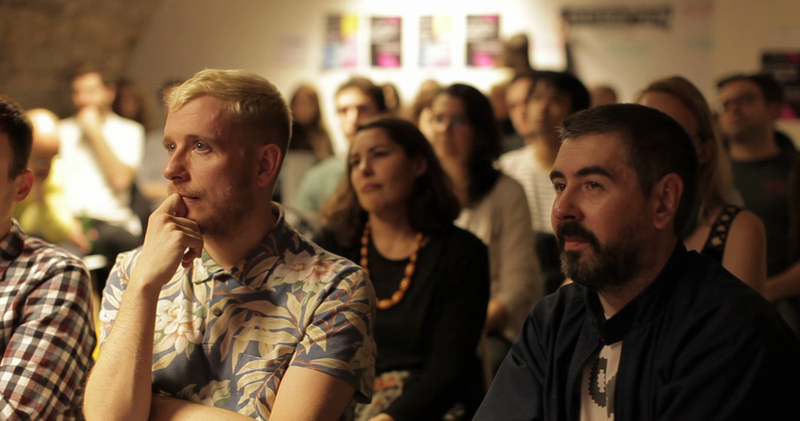 We hope you enjoy our first Creative Corner Uncut, showcasing the undiluted inspiration that made ‘The importance of tearing up the rules in design, code and music’ a Wapping success! 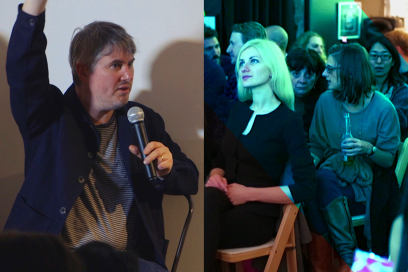 On the night we heard from Simon Brown, Jure Cuhalev and Patrick Doyle who highlighted a series of principles that resonated across the three creative disciplines of design, code and music. ‘Tearing up the rules in design, code and music’ is available to watch in a three part video series that takes you straight to the heart of the inspiration. 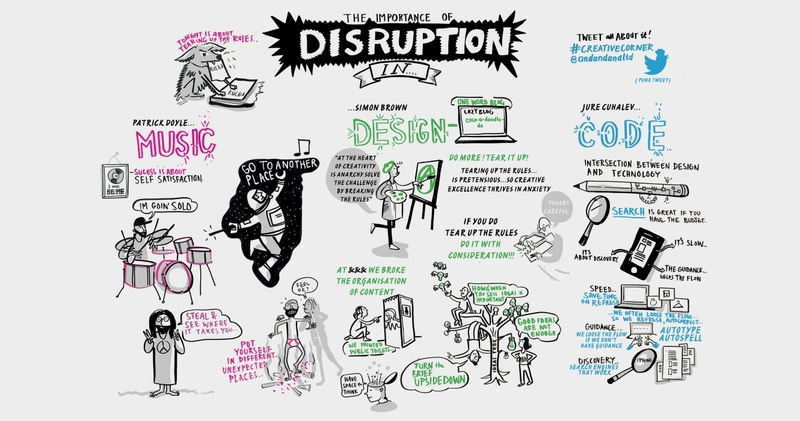 We where thrilled that ‘The importance of tearing up the rules in design, code and music’ instigated such a diverse debate covering the changing landscape of the creative industry. With questions and answers flying in over a half hour period that tackled: ‘Don’t you think if you break rule number one there’s a different output than if you break rule number two?’ to ‘How do you keep your momentum as a creative’ to ‘Where has been the most inspiring or unexpected place you’ve visited’. The Creative Corner team where tickled pink the illustrator Josephine Ford was on hand. 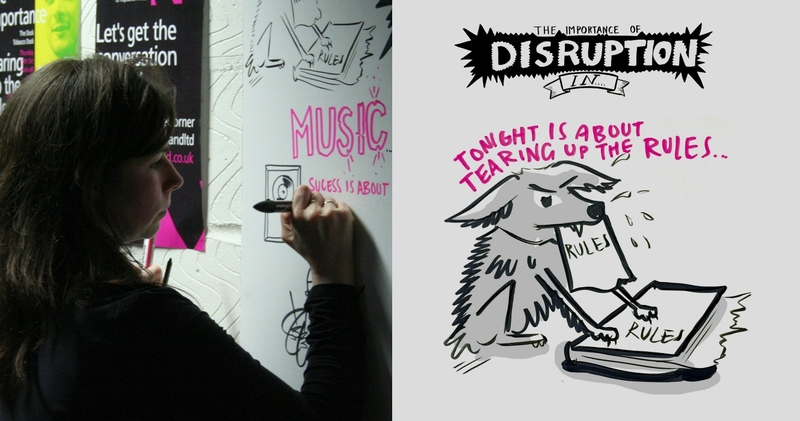 Bringing the creative shenanigans to life through her live illustrations. Download the illustration. We must say a big thanks to the unsung hero’s on the night; London Sound & Music for providing the technical support. Alongside the fabulous Isabel Tims who took the role as compére to the next level. If you want to continue the conversation please do so on twitter @andandandltd, @gandalfar, @boysforeverever. How can we be like the big guys without the big budget? A great idea is just a great idea on which you need to add multiple dimensions. Transforming it into something tangible and doable. Record everything. 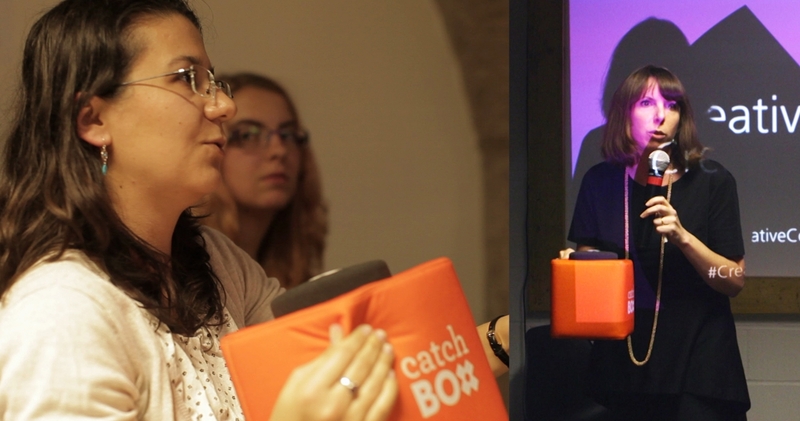 Whatever way you work best, try and find the quickest way to get feedback. From experience this helps improve your work. If you’ve enjoyed Creative Corner uncut your gonna love the disruption ‘Think Design, Create Emotion’ will bring to The Proud Archivist. 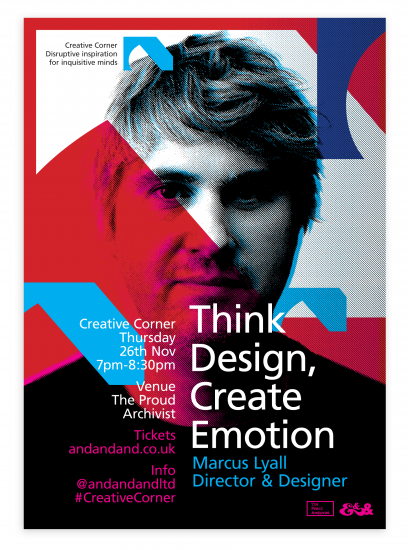 Marcus Lyall will be sharing the low-down on emotion and design. If you’ve seen his latest collaboration ‘On Your Wavelength’ the interactive light and music composition controlled by your mind you know what we’re saying. 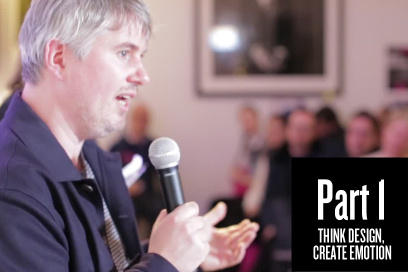 Our aim at Creative Corner is to inspire and educate creatives through shared experiences revealing the changing landscape of our creative industry, what it’s really like and what you need to succeed. See you there.